If you are injured on the premises of a business, or perhaps in an automobile accident, chances are the insurance company will attempt to settle the case out of court. But how do you, as a victim, know whether or not their offer is fair? After all, as a layman, how could you possibly evaluate the legitimacy of a payout proposal? Having an experienced lawyer to fight on your behalf might be a good idea. Insurance companies have a legal duty to deal fairly and with good faith to those they insure. Good faith insurers work quickly and efficiently to pay claims. 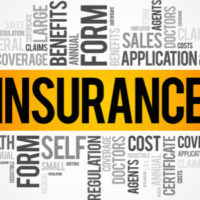 When insurers instead opt to operate with bad faith, they are generally trying to save themselves money, and are not taking care of you properly in the moments that you most need them. Refusing to act in the best interests of the patient in order to save money. The notion that insurance companies have a responsibility to behave in ways that consider more than pecuniary benefits is not new. Unfortunately, not every insurer, and certainly not every insurance agent, realizes that financial benefits are only part of what puts, and keeps a company in business. If you find yourself battling an insurer who utilizes questionable methods to respond to your accident, it’s more important than ever to have ethical, aggressive legal talent on your side. At the Law Offices of Robert W. Elton, that is precisely what you will receive. Schedule a confidential consultation with us in Daytona & Ormond Beach to unravel your insurance dilemma today.